Maintenance for all your wood and furniture etc, with us you are at the right address. We deliver everything for your parquet or furniture whether it is of wood, leather, or textile maintenance is here. If you do not use the above search bar then fill in a word like Hardwax, Osmo, Woca, Soap, Wisch Fix, Maintenance Wax, etc. Mopping and vacuuming is not enough. All floors must be maintained weekly / monthly to ensure that you do not have to sand again after 2 or 3 years at € 35 per m2. The one more frequent than the other. 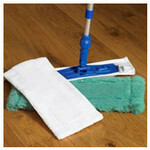 With us you will find all maintenance and cleaning products for all wooden and plastic floors of all professional brands.